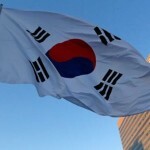 South Korean shipbuilders clinched the No. 1 position in new orders worldwide in the first 10 months of the year, outpacing Chinese rivals, industry data showed Tuesday. According to the data compiled by industry tracker Clarkson Research Institute, local shipyards garnered new orders worth a combined 10.26 million compensated gross tons (CGTs) in the January-October period, or 45 percent of the total global orders tallied at 23.05 million CGTs. 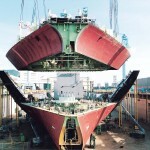 Chinese shipbuilding companies came next with 7.1 million CGTs over the cited period, or 31 percent of the total. 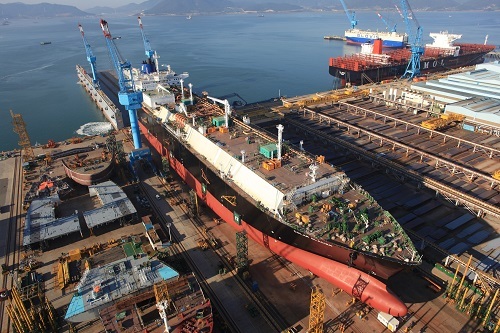 It marks the first time in three years that South Korean shipbuilders’ new orders have topped 10 million CGTs for a year. In light of the current pace, South Korean shipyards are tipped to retake the top spot in new ship orders for all of 2018, overhauling Chinese competitors. South Korea remained the No. 2 player in terms of new global ship orders after China for six straight years from 2012-17. The global shipbuilding industry has been showing a marked recovery over the past three years thanks to increased new orders. According to Clarkson Research Institute, the number for the January-October period this year was up from 20.49 million CGTs a year ago and 10.99 million CGTs two years earlier. As of end-October, the world’s total order backlog came in at 77.81 million CGTs. China held the largest order backlog of 27.81 million CGTs, followed by South Korea with 20.64 million CGTs and Japan with 13.32 million CGTs. 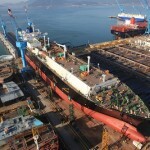 South Korea’s three major shipyards — Hyundai Heavy Industries Co., Samsung Heavy Industries Co. and Daewoo Shipbuilding & Marine Engineering Co. — are ramping up efforts to turn around after poor performances for the past years due to a tumble in new orders, order cancellations and increased costs.